When you think of a military character in one of your favorite movies, chances are it's R. Lee Ermey who you’re picturing. 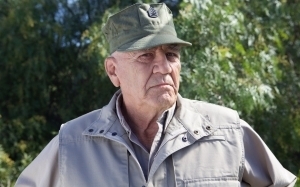 With such memorable roles as the intense Gunnery Sergeant Hartman in Full Metal Jacket to the plastic army men in Toy Story, Ermey has appeared in over 60 films over an impressive span of four decades. His 11 years in the Marine Corps and passion for acting have produced several iconic roles in some of the most highly-regarded military films ever made. We had the opportunity to talk with Ermey about his day-to-day activities, his passion projects, and of course, the things he carries every day.